I have been bothered lately by my (an my families) soda consumption. We definately have a strong preference for flavor in our drinks. For a long time, my husband and I were comfortable being hypocrites and drinking our soda in front of the kids while telling them to drink water or crystal lite. But lately my husband (non-verbally, so I am assuming) has been allowing the kids to drink 2-3 diet sodas a day...and it has bugged me. ALOT. 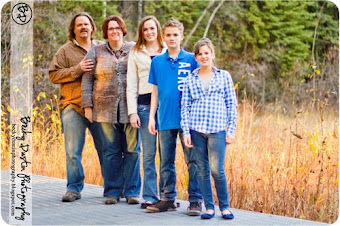 Often, we are not on the same page when it comes to parenting. I am wanting to move more towards a cleaner way of eating for our family and am looking into more natural sweetners and cleaner eating for our family. I decided that I need to set an example and put my foot down. I am no longer going to buy the excessive amounts of soda we have been consuming. If I want a soda, I will go buy one and drink it, but I will not be buying the cases we always had in our garage (hanging head in shame). Yes, I am making the decision for the kids and myself, husband will have to decide for himself. However...I needed to find an option for myself and that I would feel comfortable offering to the kids as well on days that flavor is desired. And who am I kidding, I'm going to need flavor for a bit while I go through my withdrawls. For a long time, I have been searching for a good HERBAL iced tea recipe. I've not found one that has worked for me...until tonight...and I am really excited about it. I am hoping my kids will like it too, but even if they don't I see this is a realistic flavored drink for me...a soda replacement and that is HUGE! 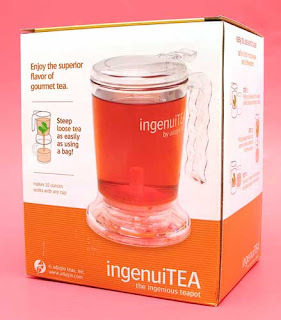 I buy my tea from Adagio and I use their IngenuiTEA system. It is a wonderful way to brew loose leaf tea. If any of you are interested, send me an email and I will send you a coupon for $5.00 off your first order. 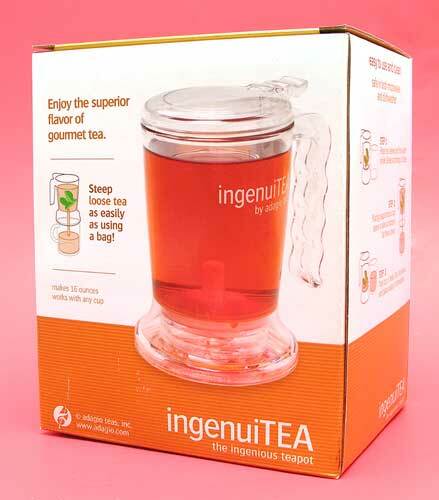 Put 2 cups water in the IngenuiTEA brewer. Put in microwave for 5 minutes, until water boils. Put green rooibos and peppermint tea in the brewer for 7 minutes. While the tea is steeping, poor 6 cups cold water into your pitcher, fill with ice to about 2 inches from the top. Once tea is done steeping, push the bottom of the steeper up with a spoon so that the concentrated tea pours into the pitcher. Mix with a wooden spoon. I put 3 droppers of the vanilla drops into the pitcher...you can obviously do to taste. Putting the hot tea into the ice water stops the brewing process immediately so that it doesn't get bitter, and I love the mild vanilla undertone in this. Steep tea bags in boiling water for 5 minutes, remove bags and dissolve sugar in the water. Mix with cold water. Add vanilla extract, refrigerate till cold. Rooibos tea is a powerful anti-oxidant, very healthy and good for you. :) Enjoy the recipe and wish me luck as I kick soda to the curb!